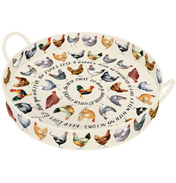 This delightful range from Emma Bridgewater is perfect for breakfast time. 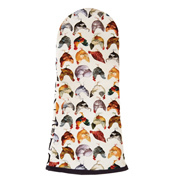 Featuring all of your favourite hens, from the plump Orpington to the show-off Poland! 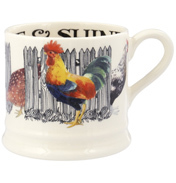 These cheerful designs are available on both egg cups and cream earthenware mugs. 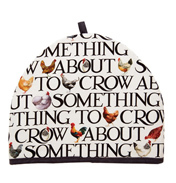 Collect the whole coop here at WWSM. 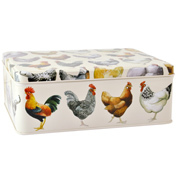 They make an ideal gift for anyone who likes to keep hens, or anyone who needs cheering up first thing on a damp, dreary morning! 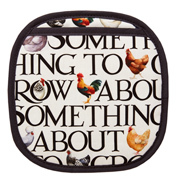 The Emma Bridgewater range of products are made in Stoke-on-Trent, England and are made to very high quality standards. The mugs and egg cups in this collection are microwave and dishwasher safe. "Matthew's long been keeping chickens and has been so inspired to draw them all. From the feathery pride of his Poland to the fluffy appeal of his Wyandotte, which one is your favourite?"